Indian smartphone market has been abuzz with a lot of activity recently. While consumers are beelining for latest flagships from Samsung and Apple, the makers of these phones are not just lying down basking in the glory of their products' consumer-driven success. 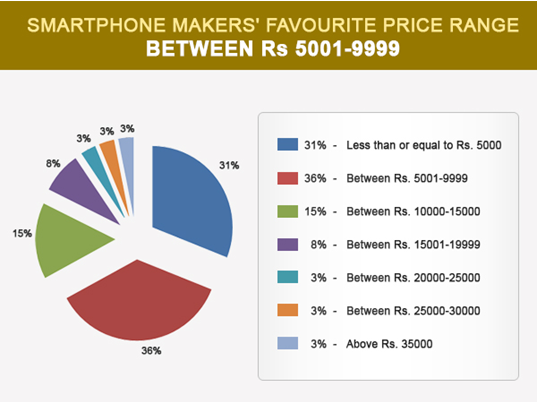 An insight by Pricebag.com, one of India's fastest growing price comparision website, named Mobile Trends 2014 reveals insight into what is going on at the mobile manufacturers' side when it comes to the smartphone market and the users. 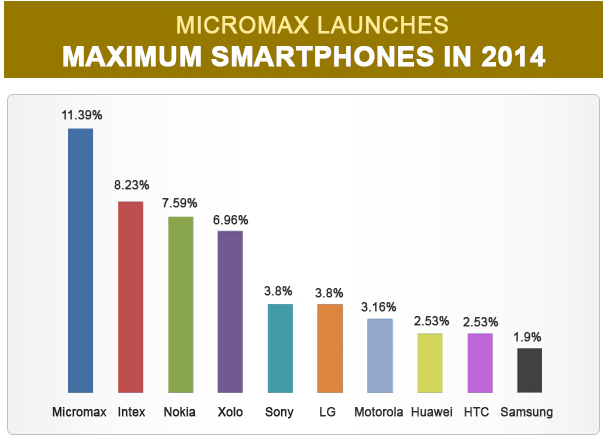 Take for instance Micromax, which has launched the maximum number of smartphones till now in 2014 and there is no slowing down for the Indian smartphone maker. But Micromax is not the only story to be talked about. Smartphone makers have actually started to take note of users' tastes and act accordingly. devices and smartphone makers have responded in the same spirit to such demands. Not just that, Android smartphones have extended their lead over other devices of other OS. Though Micromax has launched a few Windows Phone-based smartphones, the number does not come anywhere close to Android products in the market. Talking about OS and other things, bigger screens are the norm of the day. Smartphone makers are doling out phones with screen sizes which just keep getting bigger and bigger, the current norm being 5 inches. Front camera feature has also become an essential commodity, it seems, with many phones coming out loaded with a front camera. With so many things onboard, RAM becomes an important issue and has not been left untouched. Most phones on the market today have at least 1GB RAM. When it comes to battery, Finally, the deal-maker or the deal-breaker factor is the price. Here too, the budget category has seen the most amount of action till now with most phones being launched in the Rs 5,001-9,999 category.